By Glen Watson | Pay a visit to the North Point headquarters of Hong Kong startup TNG Wallet on a Sunday, and you’ll see swarms of domestic helpers queuing up to become Super VIP (SVIP) members of the financial services company that primarily operates through an easy-to-use mobile phone app. The mostly Indonesian and Filipino helpers use TNG Wallet to send money back home to family, at better rates than with traditional remittance agencies. Plus they can send it any time, not just on Sundays when they can make it to the brick-and-mortar agents. TNG Wallet secured the Stored Value Facilities license from the Hong Kong Monetary Authority (HKMA) in August 2016. Since then, it has successfully built a global FinTech service infrastructure and network in just one year – providing services that include global remittance, person-to-person (P2P) money transfer, global bill payment, global SIM card airtime top-up, foreign currency exchange and purchase, cash withdrawal and so on. TNG’s growth got a boost in August when it partnered with 7-Eleven Hong Kong to launch 24/7 payment and cash withdrawal services. Consumers can pay for purchases using TNG Wallet at all 7-Eleven stores in the city, and verified TNG Wallet users will be able to withdraw cash from their TNG Wallet accounts thereafter. Combined with TNG’s existing top-up service at all 7-Eleven stores, TNG Wallet offers FinTech services 24/7 including top-up, cash withdrawal and payment. This collaboration makes TNG Wallet the only e-wallet to provide cash withdrawal service in Hong Kong, which will also increase TNG Wallet’s global cash pick-up points up to over 180,000. “We are accelerating our pace to build a global e-wallet FinTech service network, and paying close attention to different technological and business development opportunities, especially in countries along the ‘One Belt, One Road’ route. On top of laying a solid foundation for TNG’s long-term overseas business expansion, it is also our mission to bring digital financial services to a wider range of people,” says Kong. TNG Wallet has built a mature cash withdrawal network beyond Hong Kong that covers 13 countries – China, Singapore, Australia, Malaysia, India, Thailand, Indonesia, the Philippines, Pakistan, Bangladesh, Vietnam, Sri Lanka and Nepal. Verified TNG Wallet users can remit money instantly to anyone in the above countries with or without a bank account, and recipients receive money into their bank account or receive / withdraw cash from cash pick-up points. TNG intends to be among the first set of applicants for a ‘virtual banking license’ in 2018 that the HKMA says it will introduce. “We’ve been encouraged by the HKMA to apply for a virtual license,” Kong says in a recent interview with Digital Finance. This would allow TNG to offer the full range of services – including interest on deposits, lending and investments – that brick-and-mortar banks now offer, but purely digitally. HKMA is consulting the banking industry before releasing the final criteria in the first half of 2018. 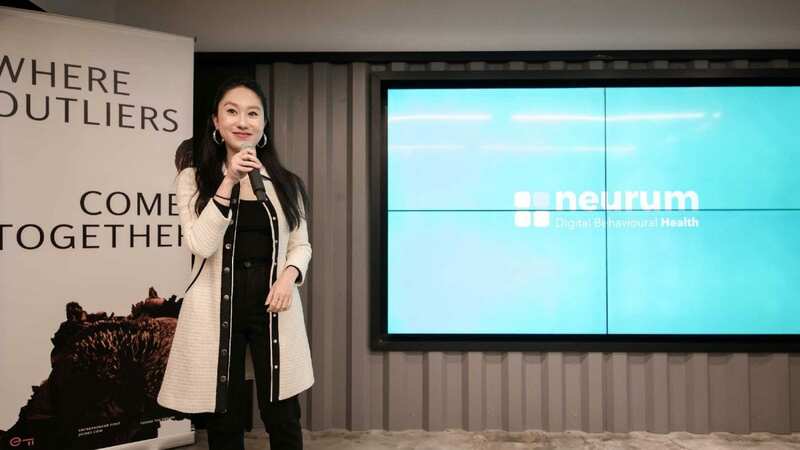 TNG raised US$115 million in Series A funding last year, the largest amount ever raised by a Hong Kong startup. According to recent reports, TNG’s paid-in capital stands at HK$150 million, well above its current regulatory need, but not yet at the HK$300 million that HKMA demands of traditional banks. Kong says by the end of 2018, Hong Kong transactions should decline from 85% to around 10% of total turnover as TNG expands to other markets. TNG has applied for a license to operate the UK and is waiting for regulator approval. “There are 1.6 million unbanked working adults in the UK,” he tells the London School of Economics (LSE) Business Review blog recently. TNG is also developing technology and business strategies to ensure it can survive against its deep-pocketed tech rivals. Version 4.0 of the app will include instant messaging, among other features to make it easier to send money to family and friends while messaging with them.